 Join us as we officially become the Center for Inquiry — Michigan. Our inaugural event features Susan Jacoby presenting on her most recent book Freethinkers: A History of American Secularism. At a time when the separation of church and state is under attack as never before from the religious and political right, Freethinkers celebrates the noble and essential secular heritage that gave Americans the first government in the world founded not on the authority of God but on the bedrock of human reason. There could be no more important book in an era when an American president invokes sanction from a “Higher Father” as justification for going to war, when fundamentalists attempt to sabotage the teaching of evolution in public school science classes, and when far-right judges attempt to obliterate the distinction between religious beliefs and secular law. In impassioned, elegant prose, Susan Jacoby offers a powerful defense of more than two hundred years of secularist activism, beginning with the fierce debate over the omission of God from the Constitution. Moving from nineteenth-century abolitionism and suffragism through the twentieth century’s civil liberties, civil rights, and feminist movements, Freethinkers illuminates and honors the neglected accomplishments of secularists who, allied with tolerant and liberal religious believers, have stood at the forefront of the battle for social reforms opposed by reactionaries in in the past and today. Join us for this momentous event as we join the CFI Community.